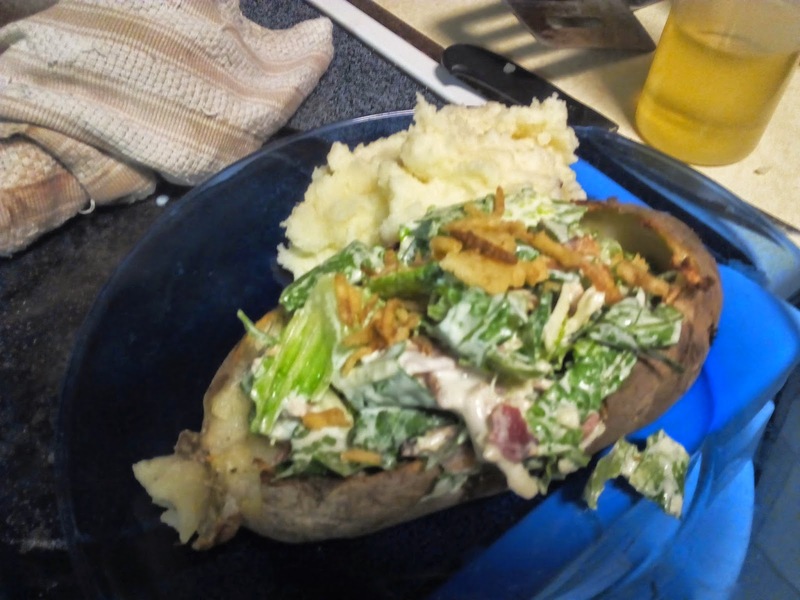 Another recipe learned while abroad was the "Sheffield" shredded pork and stuffing sandwiches. I had the joy of visiting the Riverside Winter Street-Food Market in Cardiff with some friends (Does that make it a Cardiff pork sandwich?). That's where I happened upon this oddity. It's interesting in that it takes normal ingredients and combines them into a rather unusual combination of a sandwich. 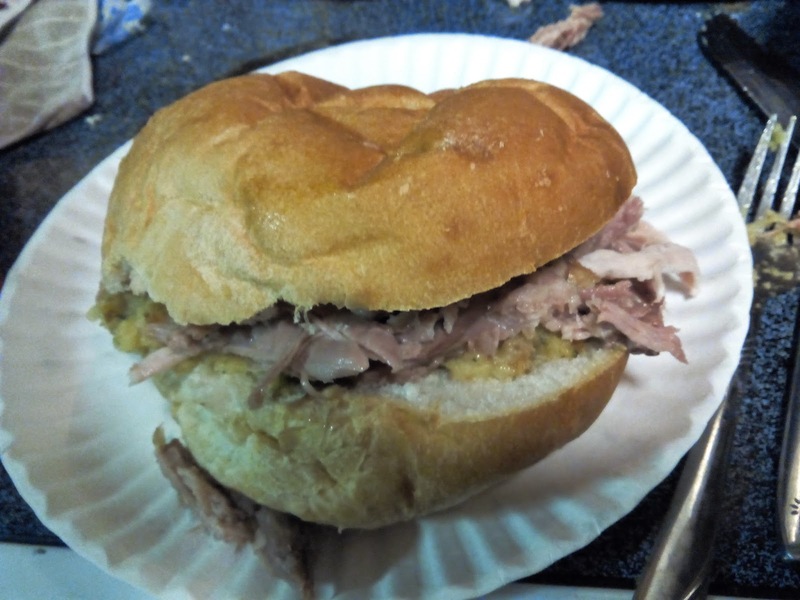 Simply put it's pulled pork, stuffing, and for those who embrace authenticity, apple sauce, all on a bread bun. So I'm told, these sandwiches originate from a shop in Sheffield which has been selling this combination of flavors for the last fifty years. If you're a bit offish to the apple sauce (I am), I found many in the queue ordering the sandwich without it (as did I). I'm also told the best way to enjoy the sandwich is by dipping it in the drippings, but I found simply the stuffing and pork enjoyable too.